Signs of spring are beginning to show in the great northeast. The days are getting longer, skunk cabbage is beginning to erupt from the cold ground and birds that have been afar for the winter months are beginning to return to New York State. One may think “What birds? The birds have been here all winter.” True, not all of our native bird species in New York migrate south for the winter months. 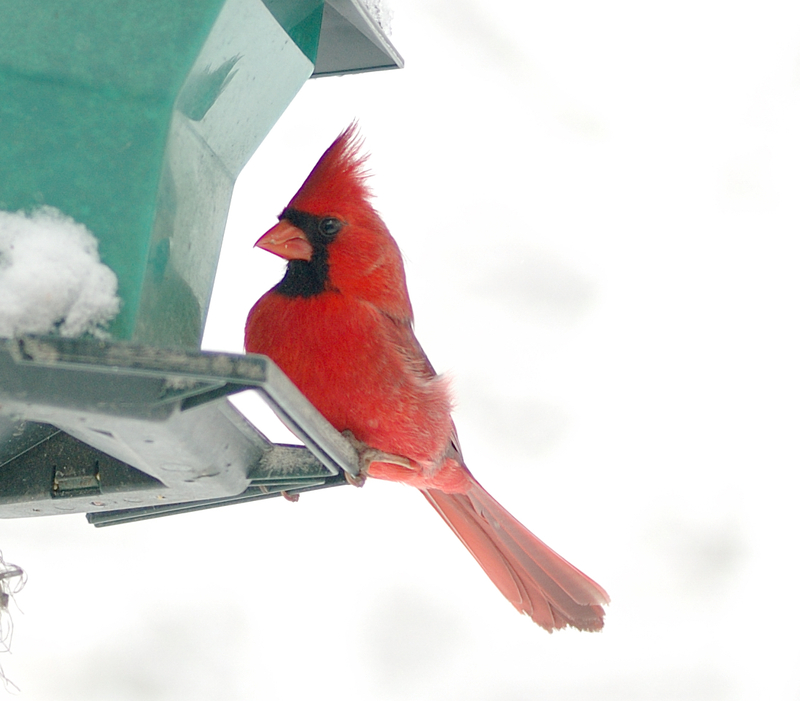 Birds such as chickadees, northern cardinals, and red tailed hawks tough out the winter, anticipating the spring breeding season (see prior blog post on overwintering birds). But far more birds winter in South America, Central America, and the southern USA and make the long journey back to NY in the spring. It is an exhausting flight; the birds must make short stops to fuel up on available food and take a quick rest, then up to the sky to continue their journey. Upon arrival at their breeding/nesting grounds, whether in New York State or farther north, there is little time for rest or replenishment of their lost fat reserves from the long journey. The birds must stake out nesting territory, defend it, find a mate and start building the nest that they will care for, around the clock, in the weeks to come. Keep your ears and eyes out for the early returning migrants, the birds that are first to arrive in the months of March and April. Before describing some of the species one may encounter while bird watching, lets discover the difference between bird calls and songs, primarily applying to passerines or “song birds”. A call is a brief simple sound like a chip note, peep, or chatter. A song is a longer sound segment, usually with distinctive melody such as a series of notes strung together. Calls can be heard all winter from our resident bird population, but in spring the songs begin. Songs are typically related to courtship and establishing territory. Bird sounds (song, hoot, chatter…etc.) are also very useful in assisting bird watchers with identification, as bird vocals are distinct to individual species. Additional tips that help with bird identification are size, coloration or plumage, and habitat use. Pick a bird you are familiar with, say the American Crow, and think about the size of the bird you are trying to identify. Having an idea of what size the bird is can help you narrow down what the species is from one that may look similar but is larger or smaller than the bird you are trying to identify. Plumage (feather pattern) is very important when identifying birds and can also be very frustrating! However, the more you bird watch, the better you will get at noticing the differences between species. Habitat type can also help narrow down what species a bird is. For example, if you are observing a bird in a wetland and you think you know what the bird is, but you’re bird guide says that bird is primarily found in dry open fields – you will have to continue looking. All of these factors combined; sound, size, plumage, and habitat use are useful tools in assisting the observer with identifying a bird. Early Returning Migrants: Meet the Birds! These birds often travel in large flocks and can be found nesting in wet marshy or shrubby habitat. A medium sized bird; the male has a distinctive red patch on the upper wing. The female looks very different in color, being a light brownish hue with darker streaking. Martin St-Michel, XC137984. Accessible at http://www.xeno-canto.org/137984. The House Wren is smaller in size than the Red-winged Black Bird, weighing about 41 grams less. Both female and male House Wrens have similar plumage (meaning they look the same). Wrens in general are noted for the characteristic pose seen in the picture, with their tail feathers and head up in the air. The House Wren nests in dense brushy habitat, usually within woods. They will also take to bird boxes. The Common Yellowthroat is a warbler and one of the first warblers to arrive in New York. The Common Yellowthroat is a small bird, similar in size to the House Wren. The male has a distinctive black mask, outlined in white – which the female lacks. Warblers in general are very colorful and eye catching. The Common Yellowthroat nests in wet marshy and brushy habitats. The Killdeer is an interesting bird, in that it has the unique behavior of displaying a broken-wing act to draw predators away from their nest. So if you see the act, consider yourself lucky, but do not approach! Killdeer are in the plover family, which primarily are a shore bird. However, the Killdeer can be found nesting on open ground in many habitat types, such as agricultural fields, parking lots, and sandy/bare ground areas. Their vocals sound similar to “Killdeer” and they have two distinctive black rings on their chest. Killdeer are larger than the song birds previously discussed, but smaller then a crow. James Bradley, XC302258. Accessible at http://www.xeno-canto.org/302258. Great Blue Herons have long legs for wading in water and can be over three feet tall! These birds have a diet composed of fish, frogs, and invertebrates (organisms lacking a spine, such as bugs and insects). Therefore they rely on open water to forage and find food and can be found anywhere from marshy wetlands, rivers, lakes and flooded areas to the shores of the ocean. Look for Herons as the waterbodies began to thaw in spring. These birds nest in rookeries with dozens of nests built of large sticks in a single tree or group of trees, usually within a wetland. Ian Cruickshank, XC210126. Accessible at http://www.xeno-canto.org/210126. Ospreys are a large raptor – meaning they are carnivores. Primarily eating fish, they hover high in the air over water and then dive, talons first, at their prey. They can be found along the shores of river, lakes, and the sea and build huge nests compiled of sticks. The nests can be built on the crotch of a tree, utility poles, or platforms specifically installed for osprey nesting. Typically these birds mate for life, meaning once a pair bond is formed; it lasts until one of the birds dies. Ospreys will return to the same nesting site year after year, adding more to their nest as they see fit. Look for these birds as the water bodies begin to thaw, and their characteristic hovering behavior. Now that you have learned about some of the early returning migrants, grab a good bird field guide, a pair of binoculars and a birding buddy and head to your local State or Town Park! Remember that these birds are under physical stress from their long migration, so avoid flushing or pushing them with your presence (don’t chase them). View with binoculars from a comfortable distance and maybe you will observe courtship behavior or the gathering of nesting material. *Bird length, wingspan , weight and habitat preference obtained from The Sibley Field Guide to Birds of Eastern North America by David Sibley. The days start getting shorter, the nights are cooler, and the leaves start to turn vibrant colors. Fall is a time of change and when plants and animals start to prepare for the long winter months ahead. It is a great time to get outdoors and observe nature’s seasonal changes. Broad Winged Hawk. Photo by April Thibaudeau, Thacher Park. One of the Northeast’s finest wildlife spectacles happens in fall, the autumn migration of hawks. Beginning in early September until the end of November, broad-winged hawks, falcons, eagles, kestrels, harriers, and more travel from their northern breeding grounds south due to scarcity of food during the winter. The birds soar on thermal updrafts, minimizing energy expenditure. A group of birds in a thermal is termed a “kettle” and may resemble a spiral of ascending birds. The migrators utilize these updrafts to glide over ridges and down the coast to regions as far as Central and South America where food is plentiful. Thacher Park hosts an annual Hawk Migration Watch at the escarpment overlook where visitors can help count passing birds and learn more about the species they see. Plants start dispersing their seeds in the fall by way of wind, water, animals, and even explosion or ballistic seed dispersal. It all starts at the end of August when blackberries, mulberries, and other fleshy fruits start to ripen and fall to the ground. These fruits contain small hard seeds and are dispersed after passing through the digestive system of animals, but make a yummy treat for us! 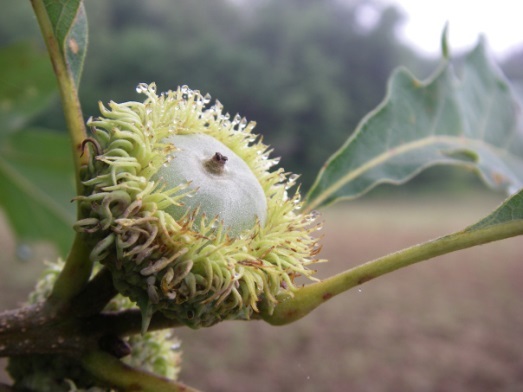 Acorns are theseeds of oak trees and sprout rapidly after falling to the ground. Squirrels can be seen scurrying around this time of year, storing nuts to eat later in the winter. Luckily for trees, squirrels only find about 30% of the nuts they hide – allowing more seedlings to sprout in the spring. 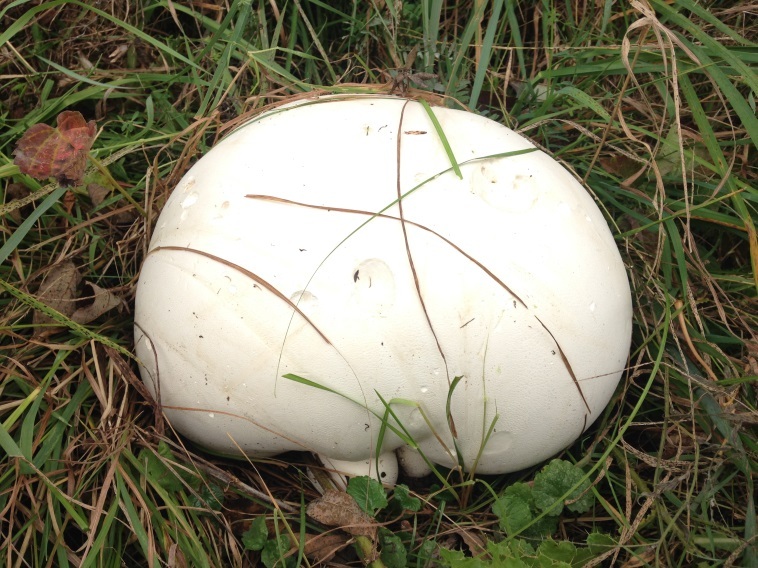 Puff ball mushroom. Photo by April Thibaudeau, Thacher Park. A warm summer leading to damp September days is the perfect combination for mushrooms to sprout throughout the forest floor. Fungi are made up of a vast underground network called mycelia, which helps decompose leaf litter, dead animals, and rotting wood. The mushrooms we see above- ground are the fruiting bodies of the mycelium and are composed of spores that disperse in the fall to continue the growth of their kingdom. Puff balls, hen of the woods, oyster mushrooms, and fly agaric are just a few of the mushrooms to look for on a forest hike. It is important to have a great deal of knowledge on mushrooms before picking any to eat, as some can be fatally poisonous. For fall hikes happening at Thacher State Park check out our Program Calendar. There are many species of birds that do not migrate to warmer or more temperate climates, but remain to take advantage of available local food sources. 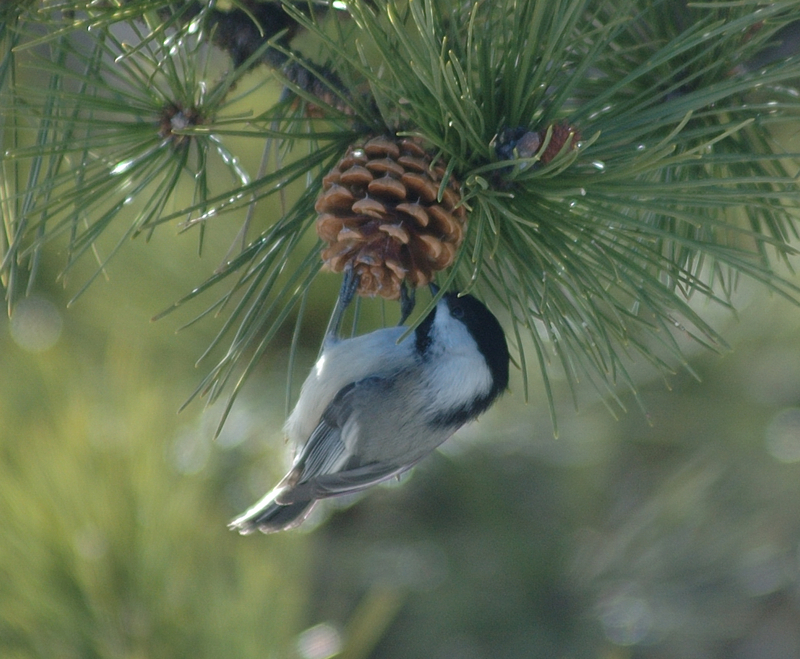 For some of these smaller birds, specifically chickadees, spending the winters here in the frigid Northeast is possible due to a short-term hibernation state called torpor. During this period, energy expenditure is reduced due to exposure to extreme cold, food shortages, or severe droughts. Throughout this process of thermoregulation (maintenance or regulation of internal body temperature), metabolism, body temperature, and heart rate are decreased in order to help conserve energy and maintain body heat during the harsh winter months. All of our fine feathered friends depend on specific habitats to obtain food and provide a safe place to nest and nurture their young. By protecting and conserving a wide range of habitats throughout our State Parks, we are ensuring the health and viability of New York State’s resident bird populations. OPRHP has partnered with Audubon New York in efforts to enhance awareness regarding the conservation of state priority birds within designated New York State Parks. The “Audubon in the Parks” initiative concentrates its efforts on maintaining and conserving essential habitat in Bird Conservation Areas (BCAs) and Important Bird Areas (IBAs) for the over 300 bird species that reside on Park lands. Currently, 67 out of the 136 IBA sites that have been identified in New York State are located inside our Parks, and 25 out of 59 statewide designated BCA’s also fall within park boundaries. These programs provide activities ranging from bird walks to data entry, and even larger habitat restoration projects. This joint partnertship fosters public engagement through outreach, environmental interpretation, and habitat restoration in several NYS Parks. In addition, this initiative encourages members, volunteers, birders, and “citizen scientists” to participate in these programs by identifying, monitoring, and conserving essential bird habitat. Audubon New York and OPRHP are focused on restoring and improving existing bird habitats in State Parks with designated bird BCAs and IBAs sites through partnerships, education, and habitat improvement efforts. Below are examples of some winter birds commonly found in New York State that you might see in our State Parks. Most commonly you will find these birds perched in a tree, gliding over a open field or even enjoying a snack at your backyard feeder. The term passerine refers to perching song birds. The vocalists of the bird world, these birds have a repertoire of song, calls and voices; each used for specific purposes. All members of this group have similar physical characteristics. The foot of a passerine has three toes facing forward and one toe directed backwards, which allows them to hang on to tree branches, reeds or any vertical surface. 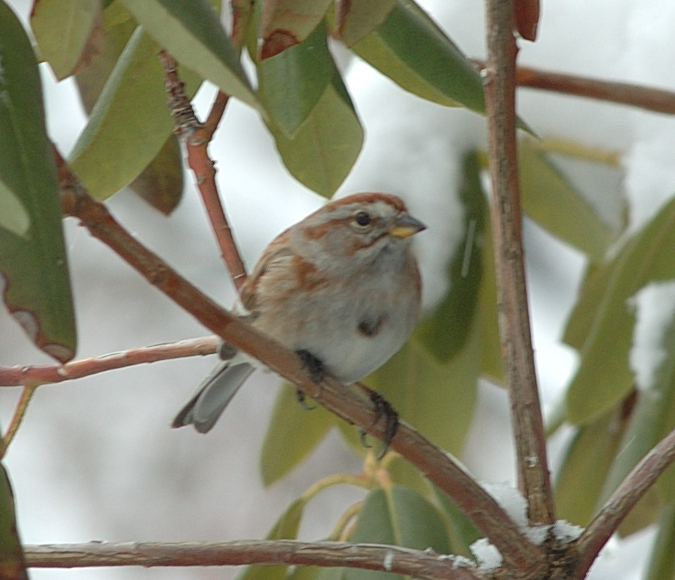 These common bird species can often be heard and seen visiting backyard feeders. Habitat: Common to mixed wooded areas. Mixed wooded refers to tree species that shed their leaves annually (deciduous) and evergreens or conifers (coniferous). Diet: Mostly seeds, insects, spiders, berries and small fruit. Auditory recognition: Chickadee dee dee dee. Identifying characteristics: Small and fluffy with distinguishing black cap and throat, and white cheeks. Habitat: Commonly found in brushy areas next to the edges of woods. Diet: Seeds, fruit and insect larvae. Auditory recognition: Teeooo, teeeooo, whoit whoit whoit. Identifying characteristics: Both have large triangular shaped bills. Male cardinals have bright red plumage with a black face and red bill. Females have reddish-brown plumage and red-orange bill. 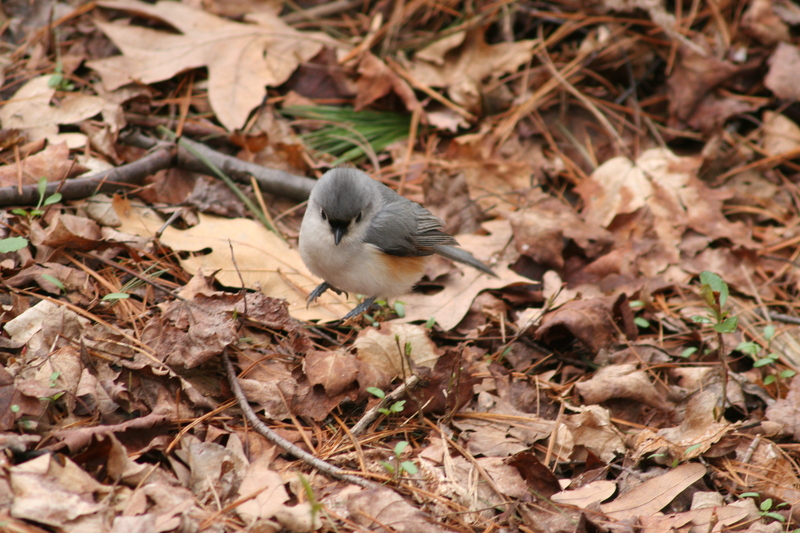 Tufted titmouse, photo by Lilly Schelling. Habitat: Commonly found in mature deciduous (shed leaves annually) wooded areas. Diet: Mainly seeds and insects. Auditory recognition: Peter peter peter peter. Identifying characteristics: Pale grey color with orange flanks, small pointed grey crest, black forehead and a broad tail. Habitat: Brushy or weedy areas in proximity to trees, open fields, woodland edges, marshes, and suburban areas. Diet: Seeds from grasses and plants, few insects and berries. Auditory recognition: A series of high-pitched sweet whistles and trills. Swee swee ti sidi see zidi zidi zew. Identifying characteristics: Bicolored bill, white bands on wings and a dark spot on center of chest area. Habitat: Common to open woodland and brushy areas, along the roadside and at backyard feeders. Diet: Mainly seeds and insects. Usually seen foraging on the ground beneath feeders. Auditory recognition: High-pitch trill resembling the ring of an old rotary dial phone. Identifying characteristics: Grey to grey-brown in color, pale pinkish-white bill, white underbelly, and white outer tail feathers. All species of Woodpeckers have stiff tail feathers which are used like props, allowing the birds to cling to tree bark while in search of food. 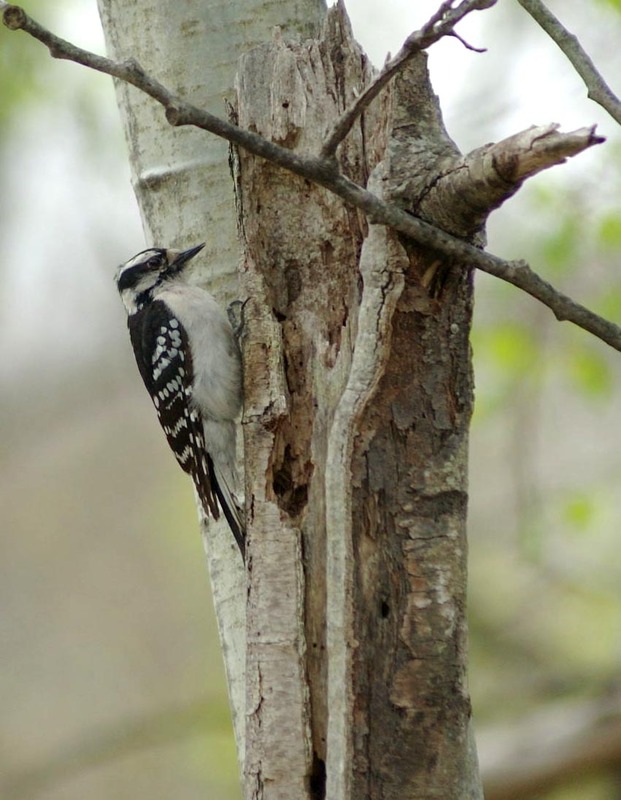 Another common characteristic that is shared among woodpeckers is a strong chisel like bill which is used to tap and excavate insects from beneath the bark of trees. They are the percussionists in the world of birds. 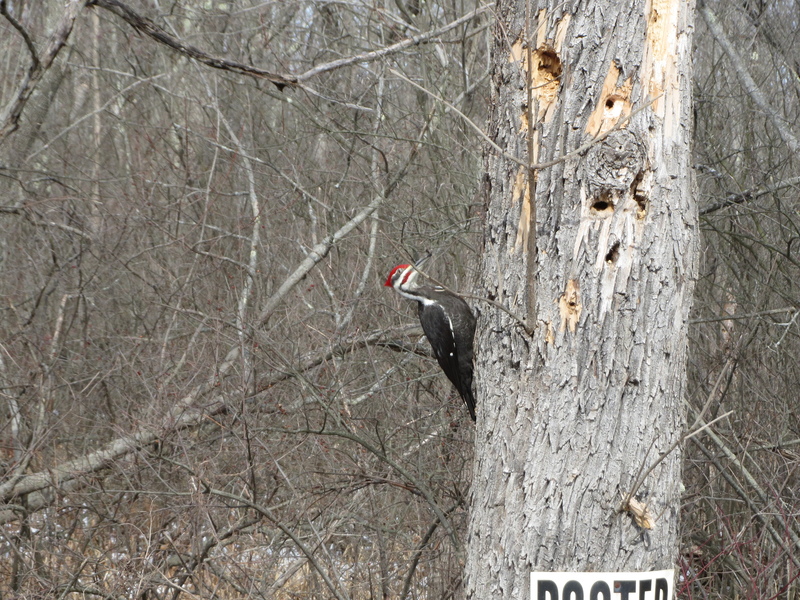 During a walk in a State Park, Woodpeckers can often be heard tapping on trees as they look for insects to eat. Habitat: Common to deciduous wooded areas consisting of patches of smaller trees and brush. Diet: Variety of insects (beetles, ants, gall wasps and caterpillars), seeds, berries. Auditory recognition: High-pitch whinny with a distinctive high-pitched pik. 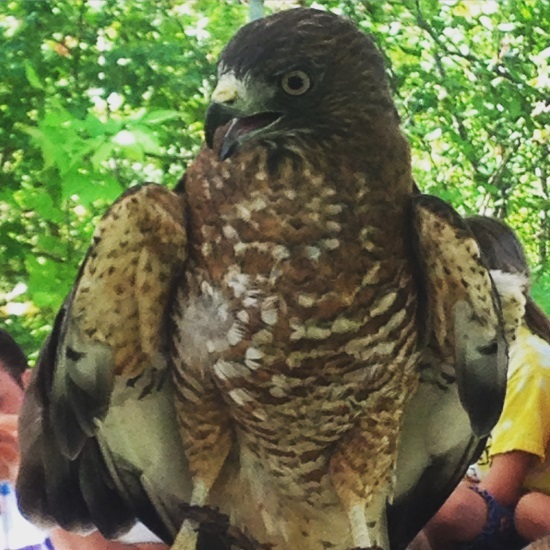 Identifying characteristics: Both males and females have a white patch on their back and white spots on their wings. Only males have a red patch on the back of their heads, females do not have this added patch of color. Pileated woodpecker, photo by Lilly Schelling. Habitat: Mature hardwood and mixed forests and woodlots. Diet: Creates a distinctive oval or rectangular hole while foraging on dead trees and logs searching for carpenter ants, termites, larvae of wood-boring beetles, other various insects. Auditory recognition: Series of 6-8 high-pitched wuks. Wuk, wuk-wuk-wuk, wuk-wuk. Identifying characteristics: Large in size with a long neck, black plumage on wings, chest and back, notable red crest, and white patch on underside of wings. 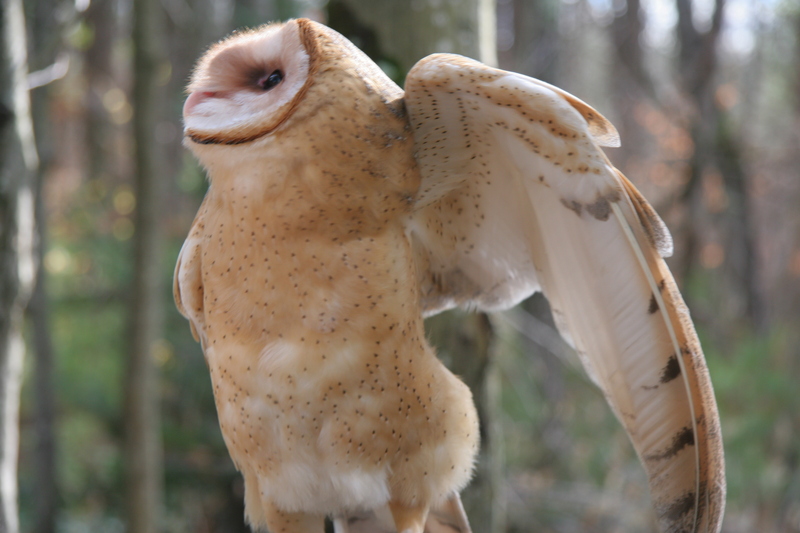 Owls belong to the Raptor family, also commonly known as birds of prey. Due to their carnivorous appetites which consists of small mammals (rabbits, moles, ground sqirrels, and mice), these skilled and efficient hunters have razor sharp talons, a hooked beak with sharp edges, acute eyesight, and distinctive facial disks which allow them to search for prey. Habitat: Perches on ground or fence posts in open fields and marshes. 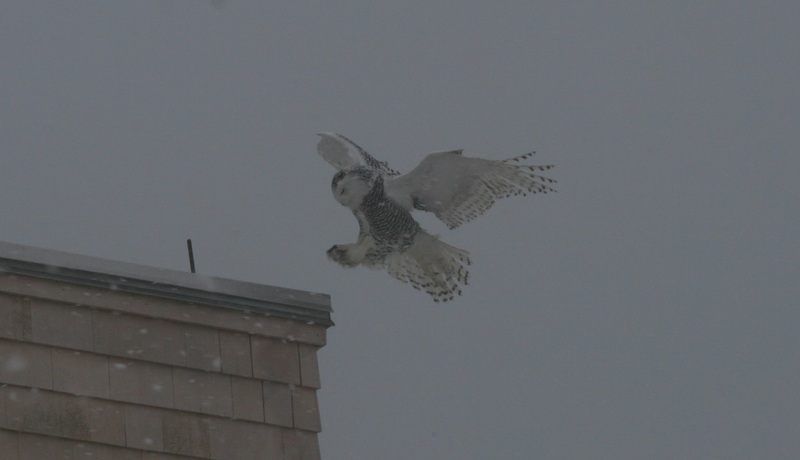 Snowy owls migrate to New York State from Canada and Alaska (also known as the Taiga region of North America). Diet: Often hunts during the day for small rodents and birds in open fields. Have been known to feed on prey as large as geese. Auditory recognition: Brooo brooo brooo. Identifying characteristics: Large and sleek, mostly all white plumage. Face and underwing always white. 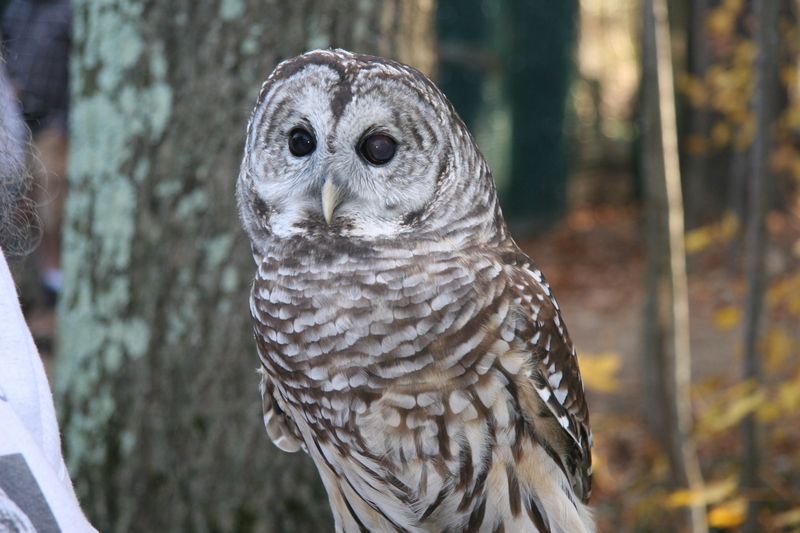 Barred owl, photo by Lilly Schelling. Habitat: Prefers hardwood swamps, woodlands or mature forests consisting of both evergreen and deciduous trees in close proximity to water, and wooded river bottoms. Diet: Most active at night but has been known to hunt for small mammals and rodents during the day in fields and forests. Auditory recognition: Hoo hoo ho-ho, hoo hoo ho-hooooooooaar (“who cooks for you”, “who cooks for you-all”). Identifying characteristics: Brown in color with lighter spots, wings and tail barred brown and white, bold streaks on chest and distinguishing dark eyes. Barn owl, photo by Lilly Schelling. Habitat: Woodlands, groves, farmland, marshes, and cliffs. Prefer to nest in old barns and man-made structures. Diet: Hunts at night in search of small mammals and rodents (voles, mice, small rats, shrews, and juvenile rabbits). Auditory recognition: Shiiish or kschh (screech). Identifying characteristics: Long legs, pale tawny and white plumage with dark eyes surrounded by a white heart shaped border. Even in the wintertime, these birds depend on specific habitats to obtain food and provide a safe place to nest and nurture their young. 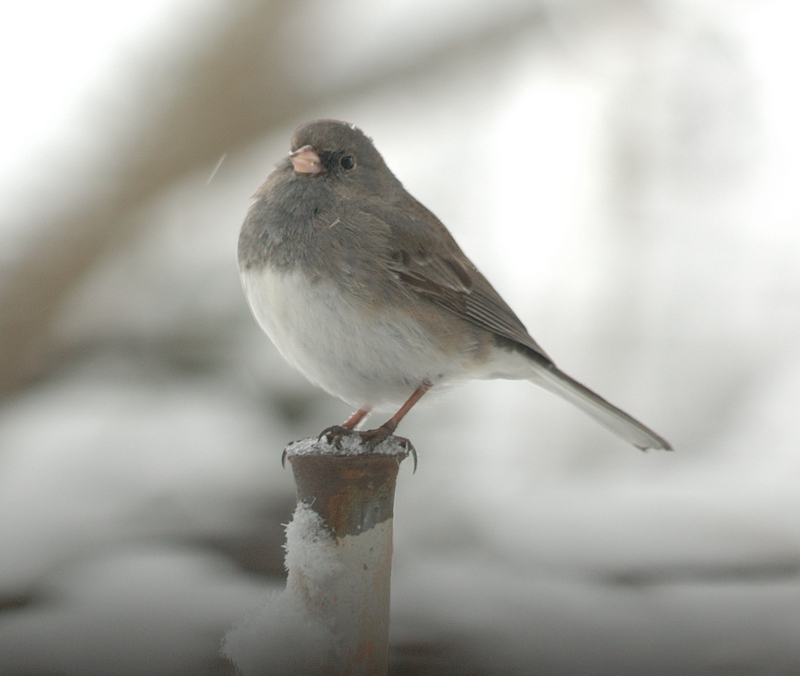 By protecting and conserving a wide range of habitats throughout State Parks, OPRHP is ensuring the health and viability of New York State’s resident bird populations. Click here for more information about Audubon in the Park. Click here for more information about Bird Conservation Areas (BCAs) and Important Bird Areas (IBAs) within New York State Parks. Sibley, David Allen. The Sibley Field Guide to Birds of Eastern North America. 2003. New York. Peterson, Roger Tory. Peterson Field Guides: A Field Guide The Birds of Eastern and Central America. 1980. New York. Nature Instruct. Dendroica: An aid to identifying Western Hemisphere birds. 2013. USGS. Web. A rare denizen of NYS Parks in Long Island is the least tern. This state-threatened species is challenged by both loss of nesting habitat, as well as predation by rats, dogs, cats, and other birds. The least tern is so named because it is the smallest member of the gull and tern family, growing to a maximum of only nine inches in body length. These beautiful birds make their homes on the Atlantic coast. In the winter, least terns migrate to the southern United States and the Mexican coast, but once it becomes warmer, they return to the beaches of Long Island to nest. Even though they are small, least terns are mighty. If an intruder crosses a nest, the tern will dive at the possible predator screeching to frighten the danger away. Least terns also make a habit to roosting with larger terns for protection. The importance of Long Island shoreline habitat to least terns, as well as a plethora of other migratory bird species, is the main reason why some Long Island beaches are off limits to dogs. Even where pets are allowed, be conscious of how your dog might be affecting wildlife and protect the habitat of this small, but magnificent bird.